Depending upon the choice of the fissile material (fuel), the coolant and moderator are chosen. The fissile nuclei (of isotopes U235, U233 and Pu239) undergo fission with neutrons of all energies. Other atoms such as U238, Pu240 and Th232 undergo fission only with neutrons of higher energy (fast neutrons). In the naturally available uranium, these fissile nuclei are present in trace amounts only. So in order to maintain a chain reaction, the energetic neutrons produced during fission should be slowed down/ moderated; or there should be a large amount of fissile atoms. In a PHWR, the fuel used is natural uranium. Hence, the neutrons must be effectively slowed down for chain reaction to sustain. Heavy water is used both as moderator and coolant in this type of reactor. There are 47 PHWRs operating across the world, out of which 17 are in India. They are a salient feature of the first stage of the oft cited three-stage Indian nuclear programme. The heart of PHWR is a cylindrical core called Calandria. This contains the heavy water (moderator). Horizontal tubes made of Zircalloy run through the calandria, (called calandria tubes) inside which there is another tube called the pressure tube, which houses the fuel bundles. Zircalloy is favoured because of its low probability of absorption of neutrons causing fission in the fuel bundle. The coolant heavy water flows through the pressure tubes, thus transferring the heat produced in the fuel bundles during fission. The coolant heavy water is kept at high pressure, to avoid steam formation in the high temperature conditions since steam is not as effective as heavy water in removing the heat from the core. The control rods are used to control the rate of fission, and are made up of neutron absorbing materials such as cadmium and boron. The hot heavy water from the cala­­ndria then transfers its heat to ordinary water in the steam generators, which turns it into steam that drives the turbines which produces electricity. Before delving into specific incidents, it is important to note that routine losses of Heavy Water in PHWR are anticipated and accounted for in its regular operation. PHWRs are designed for refuelling while in operation; and heavy water loss from the horizontal calandria pipes during refuelling is one such anticipated event. Similarly, while inspecting the coolant channels, seals and welds of the reactor core, with remote handling machinery, some heavy water loss is inevitable. A report by Mark Hibbs in 1997 estimates an average HW losses for the Kakrapar reactors were “between 500 and 600 kg/month”, or about 6 to 7.2 tonnes per year. This claim was reinforced by a statement by the first Managing Director of the Nuclear Power Corporation that the annual replenishment for such losses in a typical 220 MW reactor is 7 tonnes/ year. Several AERB annual reports contain the details about outages and radioactive release occurring due to heavy water spills in the PHWRs from time to time. Heavy water leaks have been recorded previously in the Indian PHWRs. The Rajasthan Atomic Power Station 1 reactor, that achieved criticality in 1972, used to face routine losses of a significant amount of Heavy Water during the initial years due to several failures of the Heat Exchangers. A failure of this kind could have resulted in the mixing of Heavy water with the ordinary water in the steam generator, hence escaping as steam, which in turn could lead to atmospheric release of Tritium. The following table from Dr M.R. Srinivasan’s edited volume of essays and cited in a paper by MV Ramana, Antonette D’Sa and Amulya KN Reddy details the quantities of heavy water spills (Escape); the quantities that are lost, after collecting back as much as possible for reuse (Loss); and the annual losses by virtue of the routine losses. It must be acknowledged that the DAE has come a long way since then managing the heavy water leaks- bringing it down several manifolds- in spite of the sanctions imposed by the global nuclear community, developing indigenous engineering solutions. In September 1988, a heavy water leak inside the reactor vessel led to the shutdown of the Madras Atomic Power Station Unit 2 (MAPS-2). In 1991, there was another leak of 0.847 tonnes of heavy water from the moderator system. Rajasthan Atomic Power Station RAPS-1 was shut down on February 2, 1994 after helium gas and heavy water leaked from the reactor’s Over Pressure Relive Device (OPRD). The OPRD is placed at the top of the calandria, whose purpose is to check the rise of pressure inside the calandria in case of an accident. The problem arose after a nickel gasket seal in the OPRD gave way. The nitrous oxide, which formed in the calandria vault due to radiation, began to eat into the nickel seal and once the nickel seal gave way, heavy water and helium began to leak. Heavy water started collecting in the calandria vault when the unit was in operation. Although it was a daunting engineering task, in high radiation zone, the leak was plugged successfully. Post this incident the Pressure tube ageing management programme was accelerated and implemented one year ahead of schedule. As per the “Operating experience with nuclear members” series of the IAEA, in the year 1997, outages due to primary coolant leaks were recorded in Kakrapar 1, Narora 2 and MAPS 2 units. On March 26, 1999, the MAPS-2 again witnessed a heavy water leak from the coolant channels. As was the case with the recent Kakrapar plant leak, a plant emergency was declared. However, the reactor was already shut down for 41 days prior to the incident. There were conflicting views on the incident regarding the nature of the incident and the quantity of the spill. The leakage was said to have occurred during a BARCCIS inspection that was underway in the MAPS as part of maintenance work. During such operations, which are done with fuel removed from the inspected channel and reactor in shut down state, the special seal plugs are positioned and operated by remote machinery. One of the seal plugs was not seated properly, resulting in a release of heavy water. This was arrested by reseating of the plug. The plant officials maintained that it was not an accident. On April 15, 2000, there was a leak of Heavy Water from the moderator system into the reactor building in Narora Power Station— vibration (the flow of moderator heavy water through the heat exchanger tubes caused vibration) caused the failure of a gasket in the system piping. Three years later, on 25 April 2003, there was another leak at the same reactor. This incident also occurred during a BARCCIS inspection. During the period 2000-2001, there was one incident of release of tritium activity (about 43 curies) from RAPS to Rana Pratap Sagar (RPS) lake, on September 26, 2000. Following the incident, the unit was shut down and the leaky heat exchanger was isolated. The activity released was well within the limits stipulated by AERB for discharge of radioactivity from RAPS to RPS lake. In India’s PHWR experience, one of the main reasons for HW leaks had been vibrations in the coolant tubes. When heavy water flowed in the pressure tubes, vibrations occurred and the garter springs, that are located between the two tubes, moved from their positions. This resulted in the coolant tubes sagging and coming into contact with the calandria tubes. While the temperature inside the coolant tubes was around 295 degree Celsius, the temperature in the calandria tubes was about 70 degree Celsius. The temperature of the coolant tubes came down at the points of contact, resulting in the formation of zirconium hydride which leads to the coolant tubes, made of zircalloy, becoming hard and brittle. This in turn causes micro-cracks in the coolant tubes. The hydriding problem in PHWRs has been overcome by using better alloys of Zirconium, containing Niobium, which are resistant to the formation of microcracks. The Kakrapar reactor was running in full capacity when a leakage of Heavy Water and a consequent rise in pressure in the containment building were detected. This resulted in the declaration of plant emergency. Importantly, the safety systems kicked in and the reactor has been in a cold shut down stage and all the radioactivity was contained within the reactor building. Over a period of time the heavy Hydrogen (Deuterium) in the heavy water gets converted into radioactive Tritium by absorbing neutrons. Because tritium’s radiation (Beta radiation) cannot penetrate the skin, the only real exposure occurs while tritium is inside the body. The health effects depend on the form of tritium present, elemental tritium gas, tritium oxide or tritiated water. Although it is generally considered an insignificant exposure hazard, the body easily absorbs it in the form of tritiated water. Any tritiated water vapour that is inhaled, absorbed through the skin, or ingested will result in complete absorption of all radioactivity. The absorbed tritiated water is rapidly distributed throughout the body via blood, which in turn equilibriates with extracellular fluid in about 12 minutes. When it passes through a human body, it can produce permanent changes in cells. There are three principal potential health effects: cancer, genetic effects and effects on foetuses. Initial assessment has indicated that the leak is from primary coolant system and the leak rate corresponds to ‘Small Loss of Coolant Accident (LOCA)’ category. The coolant tubes of KAPS 1 were replaced with improved Zircalloy tubes in 2011. This was done as part of AERB’s periodic pressure tube ageing management programme, and even by conservative estimates, the replaced tubes were supposed to be operational for 25 years of reactor operation. This is one issue that the AERB and the DAE will have to investigate further. The leak continued unabated until it was successfully isolated and plugged 10 days later following which the plant emergency was lifted. The affected coolant channel will now be removed and sent to the laboratories at BARC for further investigations in order to probe into the root cause of the incident. According to the AERB, the whole process will take a few months. Special equipment needs to be brought in to remove the affected coolant tube, along with the remote handling machinery and radiation shielding materials. ap in India’s accumulated 410 reactor years of experience, following the 1999 turbine fire incident in Narora, in terms of the potential accident it could have led to. However, such labelling could be premature and unnecessary given that the investigation into the incident is still underway and more importantly, the safety systems at the plant worked as planned. As the AERB Chairman S A Bhardwaj puts it, until a detailed analysis of the events that led to the incident is available, all caution has to be exercised across all operational PHWRs as it cannot be ascertained whether it is a generic problem or a KAPS specific incident yet. 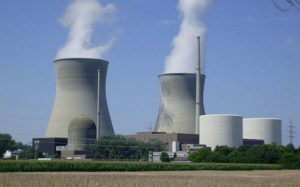 In his book, Normal Accidents, Charles Perrow says that multiple and unexpected failures are built into society’s complex and tightly-coupled systems such as nuclear reactors. Such accidents are unavoidable and cannot be designed around. Investigations are underway, and it is bound to take a few months time for the complete details of the incident becomes available. This is because of the fact that the reactor was operating at full capacity at the time of the incident because of which the radioactivity levels inside the reactor would be high. HW leaks and spillages must be dealt with for the following two reasons. First, even if some of these leaks may not be serious safety hazards by themselves, they may be precursors to serious accidents which could result in atmospheric or the environmental release of radioactivity. Secondly, Heavy Water is expensive and hard to produce, hence making it a considerable burden on the economics of the PHWRs. Here, it is worth mentioning that the PHWRs are generally considered the more economical design compared to Light Water Reactors (LWR), because it uses natural uranium rather than enriched uranium therefore eliminating the requirement and costs of enrichment. More importantly, because of the use of natural uranium and lower burn-up, management of spent fuel from PHWRs is easier as compared to LWRs. The only major initial investment in PHWR is that of heavy water, and thus, managing the leaks becomes important to retain its cost effectiveness. The Kakrapar incident is a wakeup call for the Indian nuclear establishment to build confidence in the public. Though the AERB website has a section exclusively dedicated to giving updates on the Kakrapar incident, given the speed at which the electronic and social media functions, more proactive communication is the need of the hour. Reaching out to the journalists with timely and accurate information and use of social media will help in establishing the real nature of incidents, leaving little room for speculation and result in alleviating concerns. While it was indeed reassuring that the safety systems of the reactor worked as intended, a transparent root cause analysis of the incident and its management will help build a healthy public dialogue. Ms. Kaveri Ashok is Senior Research Fellow at the International Strategic and Security Studies Programme (ISSSP), National Institute of Advanced Studies, Bangalore. She can be reached at <kaveriashok [at]gmail.com>. The author is grateful for the valuable comments provided by L.V. Krishnan and Arun Vishwanathan on an earlier draft of the article. Views are personal.